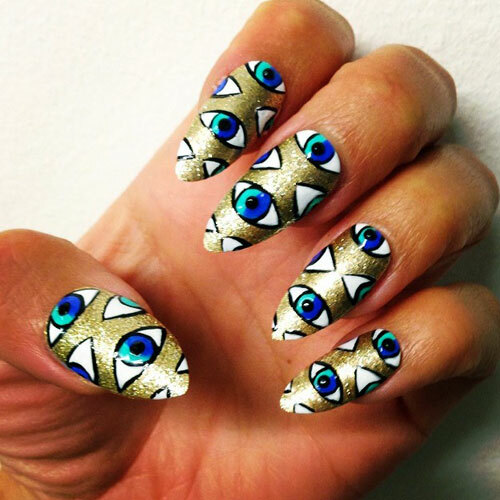 There is something I have to admit now…I am on the verge of getting branded a ‘celebrity nail art’ perv that keeps stalking social media sites like twitter and Instagram for feasting my eyes on some gorgeous celebrity nail designs flaunted by most celebs these days. We all love some celebrity or the other and tend to follow what they follow. 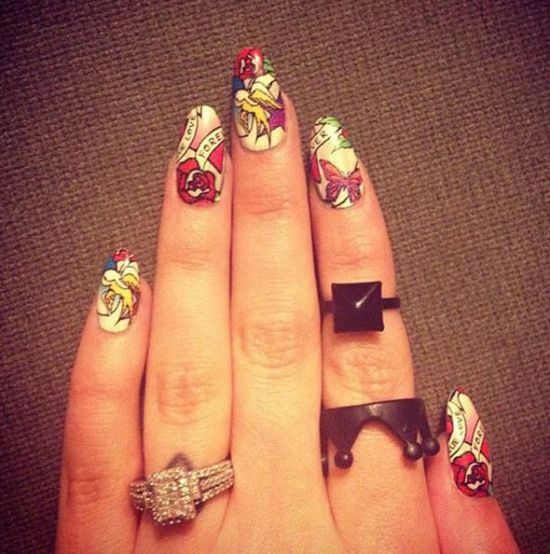 Be it the style of clothes they wear or the shoe brands they choose to wear on the red carpet, or the fashionable nail art designs adopted by them, fans love to ape them in all respects, even celebrity nails! 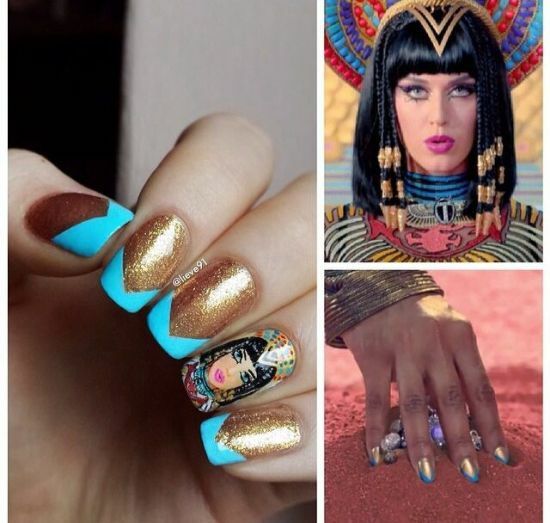 Such has become the obsession with many of us that we crave to hook our eyes on celebrities wearing dazzling nail art on their nails. 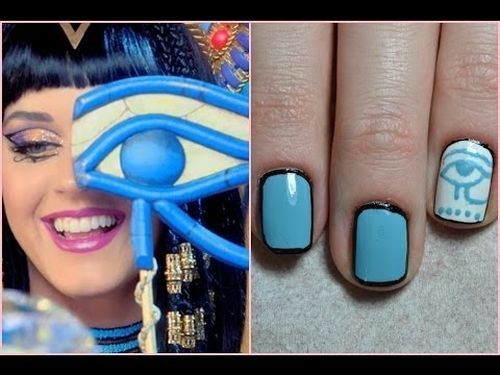 This is the reason why today, I am presenting before my ‘celeb crazy’ friends and readers a chance to copy the same celebrity nails as they have been seeing this year. 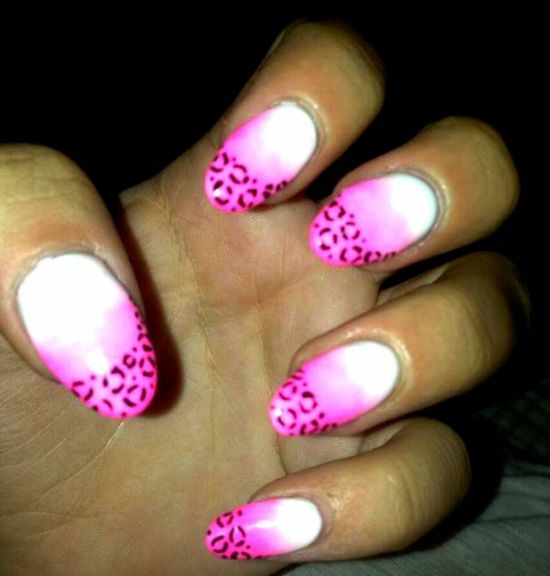 The post will show you the top 50 celebrity nail designs that are not just beautiful but will make you swoon with joy. 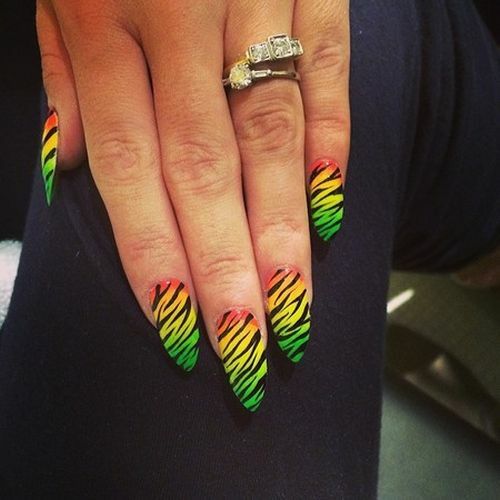 Most of these celebrity nails are easy to be done and one can play with myriad options when planning to beautify her nails with cool celebrity nail art. 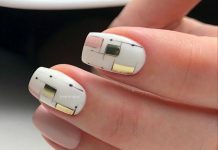 From a bevy of celebrities that walked down the red carpet for Oscars, or Grammy this year, there seemed not one single lady who didn’t show a keen interest on styling up her nails. 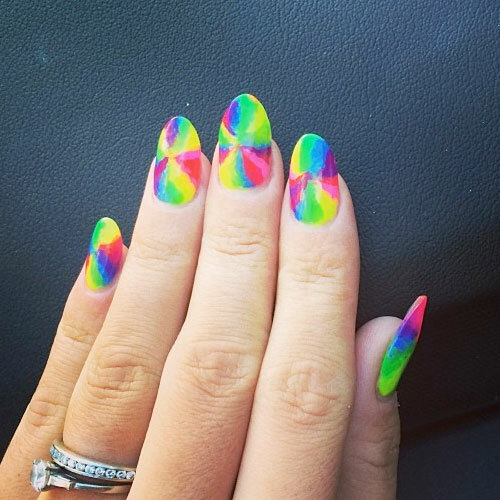 The year 2014 has been very trendsetting as far as celebrity nail art is concerned. 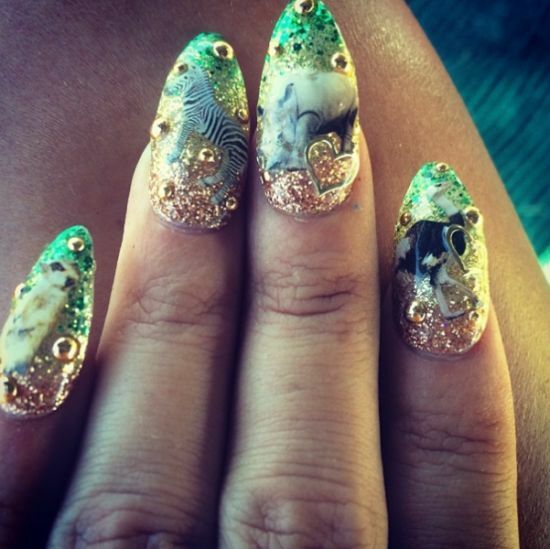 There are a few images of celebrities like Lilly Allen and Rita Ora who were photographed on their way to the Grammy and voila… what we found were a cool set of perfectly manicured nails with trendy celebrity nail designs to die for. 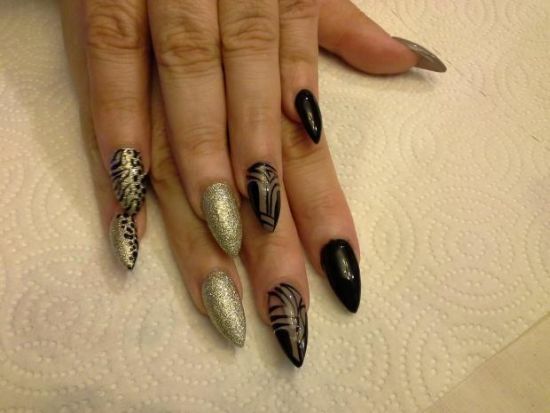 Well friends.. it is not just for the Oscars or some award parties that celebs have worn exotic celebrity nail arts this year. 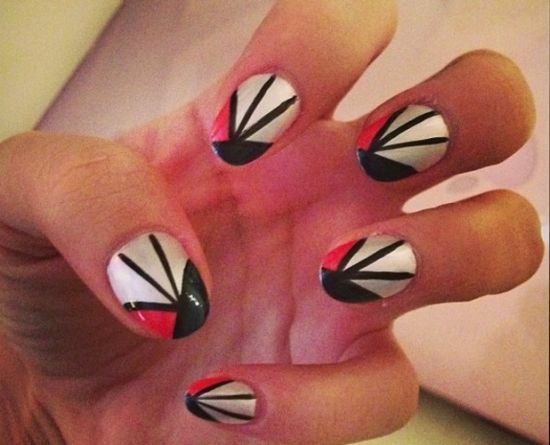 These fashionistas have actually gone out camping or doing their mundane activities wearing such glamorous celebrity nail designs that I thought I had to share with all of you. 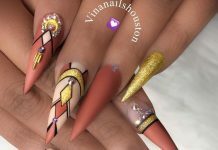 Celebs as can be seen from 2014’s fashion scene have adopted not merely bold and gorgeous celebrity nail arts but have also opted to go rather soft and elegant. 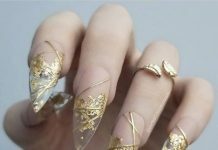 While some celebrities like Katy Perry has gone wild with her gold leaved celebrity nail art, others like Ann Hathaway kept it sober yet gorgeous. 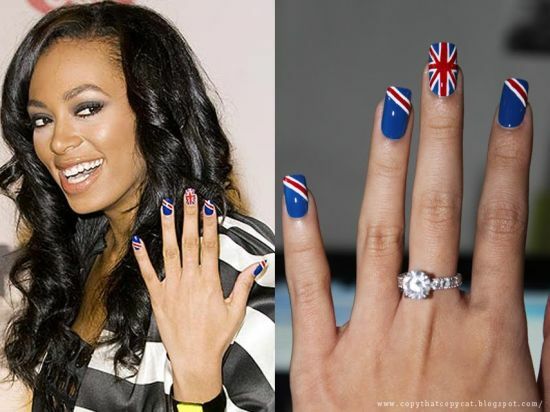 The trend of getting celebrity nail art designs has received a massive boost this year with many women following the same nail trends as celebrities. 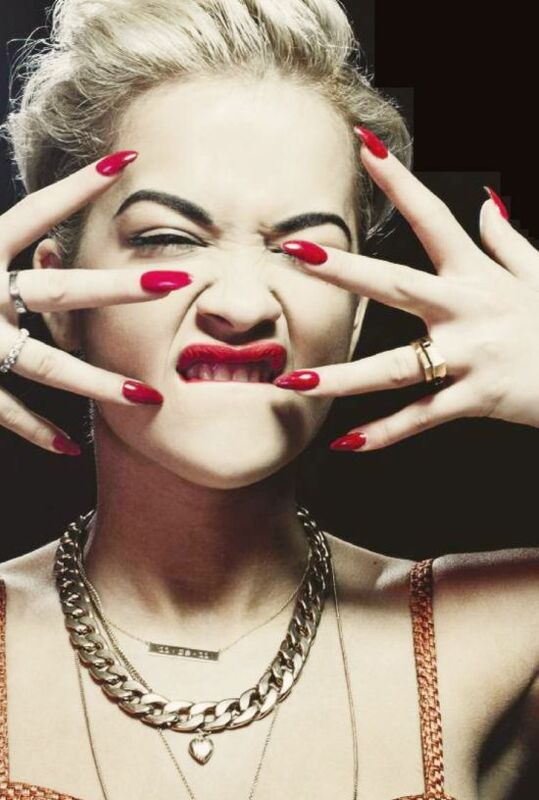 Rita Ora as you can see in some of the images has also styled up her nails with actual diamonds on a base of red painted nails. 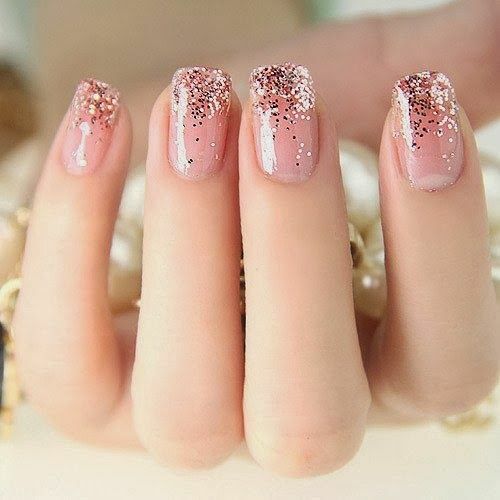 These pointy nails too have been in vogue this year and will remain so in the future. 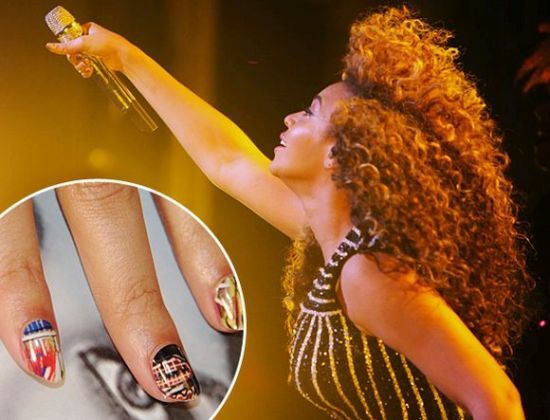 Most celebrities, it seems, have been motivated to use a base of gold polish and have adorned their nails with diamonds and crystals. Neon shades too have been seen quite a few times. 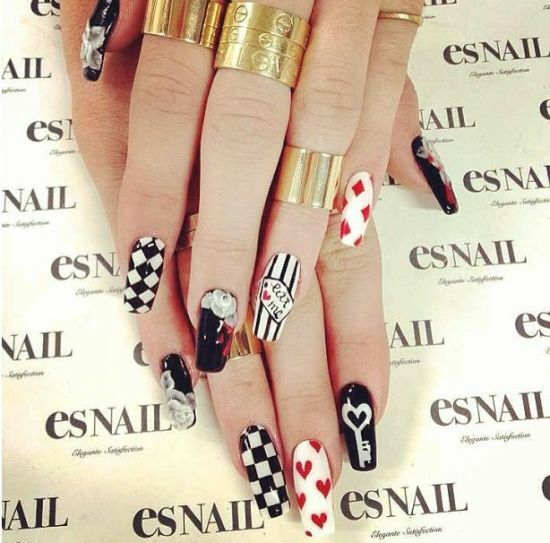 Also considered a hot favorite among celebrities is that checkered look that the images are showing us. 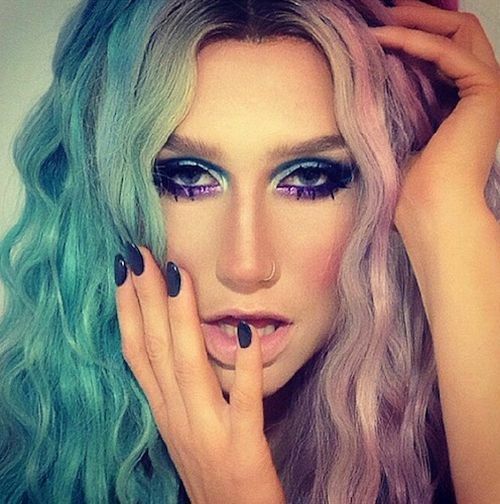 This look has been followed widely across the globe and is already a trendsetter. 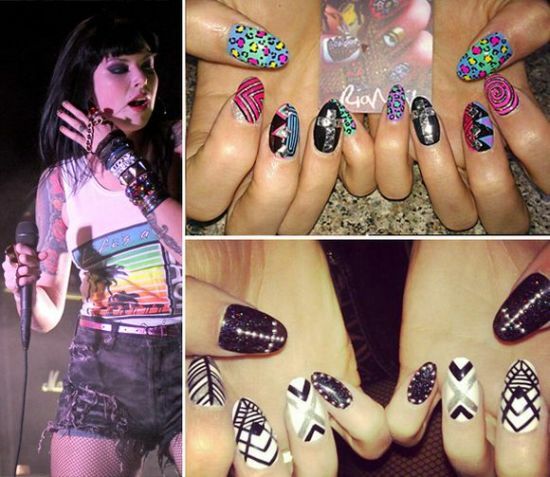 If you are keen to follow on the footsteps of your favorite celebs and wish to adorn your nails with cool and flamboyant nail art designs, read this post to get more inspiration. 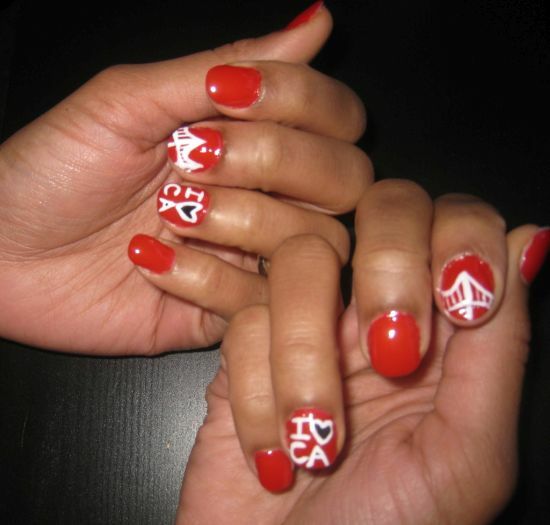 I am sure that once you get one of these cuties designed on your nails, the world will take notice of you!